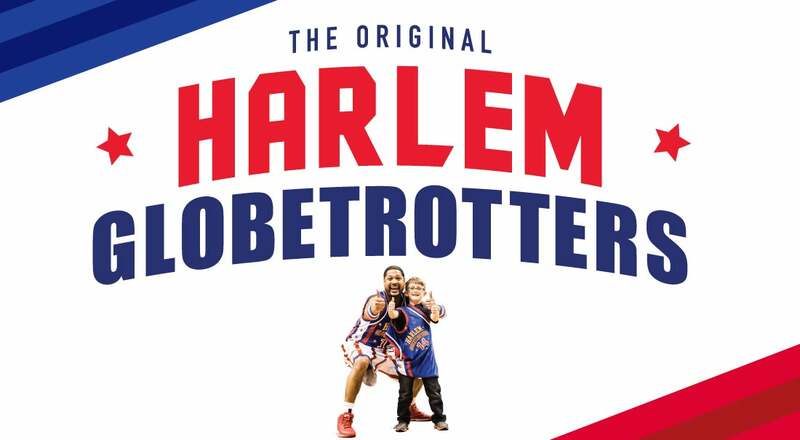 The World Famous Harlem Globetrotters return to the Constant Center this winter. Are you interested in any of our fan experiences? All of our group packages, listed below, are available for purchase. Please note the minimum ticket requirements for each package. For more information on groups or fan experience packages or to purchase now, contact the group sales department. Up to 20 members of your group (kids only) can sit on the Globetrotters bench and floor in front of the bench to watch pre-game warm-ups and introductions. New in 2017 – added opportunity to join Globie’s Kids on the bench of the opposition pre-game. Groups of 10+ can celebrate at a Globetrotters show. Globie Birthday Bash Includes a birthday PA announcement, an autographed gift for the birthday boy/girl, and the birthday boy/girl will take part in the YMCA on the court with the Globetrotters! Often utilized to recognize a top Boy Scout Popcorn or Girl Scout Cookie Sellers, the in-game presentation provides a unique opportunity to highlight members of your group. PA announcement included. Take a piece of the game home with you! Picture your group climbing the ladder one-by-one after the game, passing the scissors and leaving with a great keepsake and story.